Just like 6 years ago, the future of windsurfing as an olympic sport was discussed. This time for the 2024 Olympics. The Olympics commitee want to attract more young people, they want more equality between men and women, and they also want to avoid brand monopolies, such as with windsurfers: Neil Pryde RS: X. It is up to the world Sailing Federation: World Sailing to ensure that they comply with the requirements of the IOC. 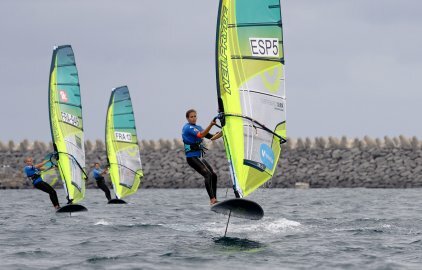 Personally I was not very worried windsurfing, as a sports, it is much more attractive to watch compared to other sailing disiplines. But you never know with World Sailing, which sees windsurfing only as stepping stone to sailing, of course, what it really is not. I do not believe that 1 Olympic windsurfer has ever switched to an Olympic sailing class. Windsurfing remains an Olympic sport!! Material has yet to be decided, Foil is an option, personally I am a fan of the RS: X Convertible, but time has learned that a 75 cm Foil board might be on the narrow side. They will have to allow different manufacturers to supply equipment, how that will work not yet known. Will they have to produce the same shape? It seems that we also get a more material choice, instead of just 1 board, 1 sailing, 1 fin: 1 board, 3 sails, 1 Foil and 2 fins!! Much more equipement to choose from, reflecting much more what real world surfers are using, much more fun to sail. The course shape is still open, there is now talk about different courses, depending on the wind, with a Slalom course as an option!! Yes Slalom!! I'm look forward to the new material, may prove to be very versatile and is closer to what normal surfers use. Dorian van Rijsselberghe is very enthusiastic: "So... maybe I like it so much that I will continue untill 2024, haha, you never know." 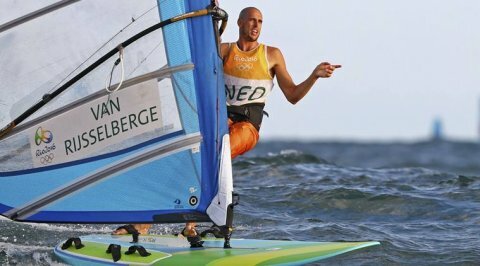 The kiters will be happy, their sport is finally Oympic. It is a mixed event, so 1 Kite medal for a couple, so man/woman sailing their own heats and results together gives 1 medal. Not ideal, but it is a first step. Now let's hope that the disipline will be freestyle and not kite-course-racing, the "hobby" kiters are not looking forward to kite-course-racing. And also for the public, freestyle would be much more fun to watch!